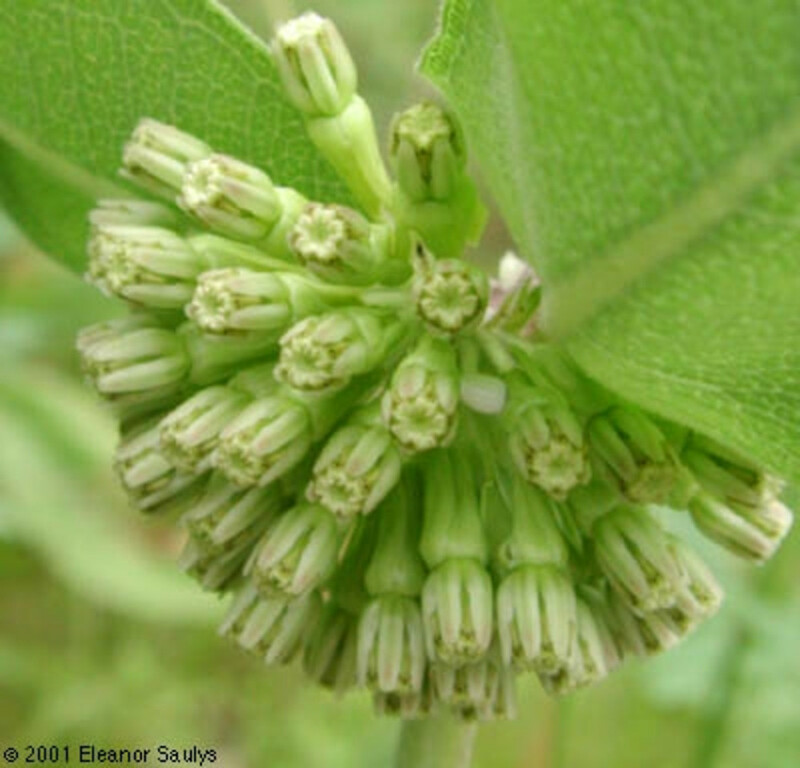 Green milkweed is one of the more widespread milkweeds, but it reaches the limit of its range in New England, where it can only be found in Connecticut. 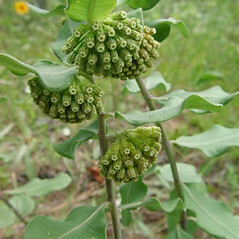 The plant is distinctive due to the tendency of the umbels to droop. 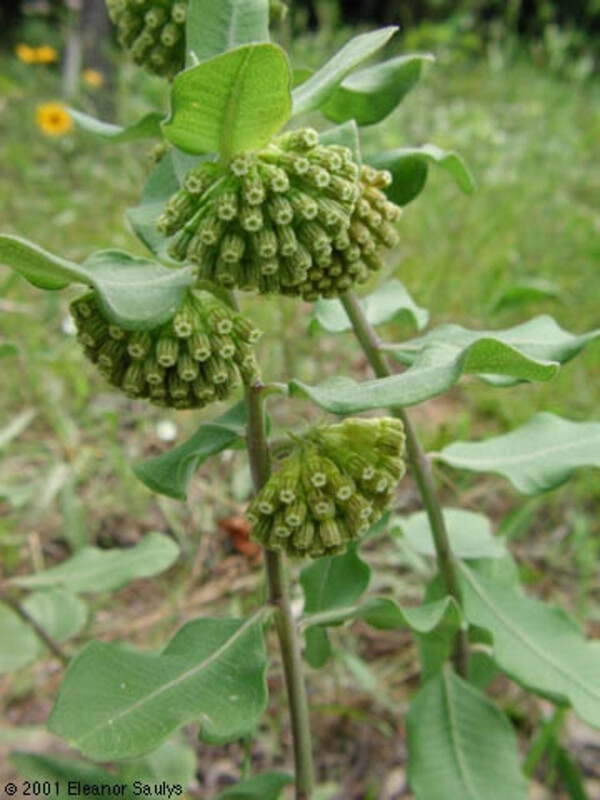 The Blackfoot Indians used the chewed roots to treat topical swellings and rashes, and chewed the roots for sore throat. 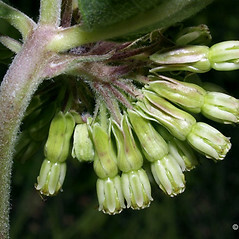 Asclepias viridiflora Raf. var. 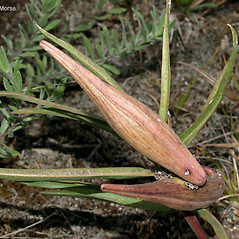 linearis (Gray) Fern. green milkweed. 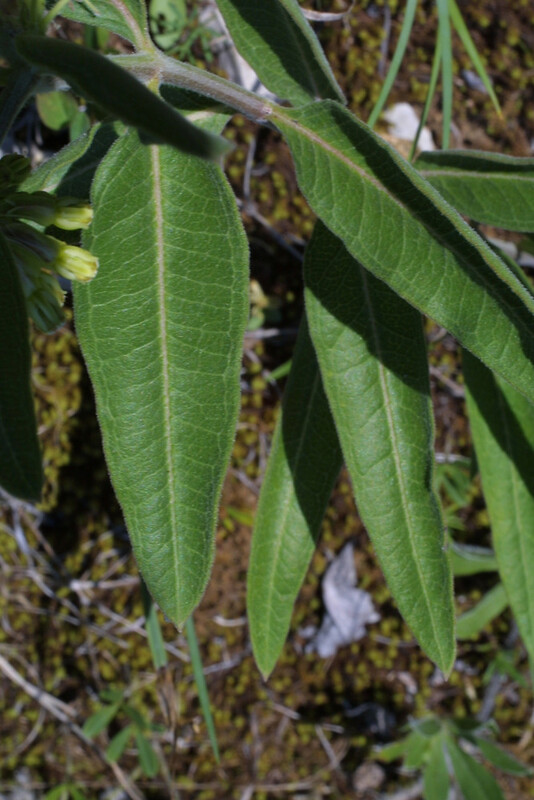 Acerates viridiflora (Raf.) Pursh ex Eat. 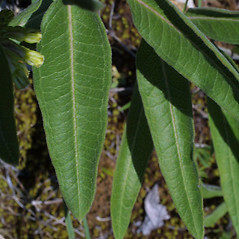 ; A. viridiflora (Raf.) Pursh ex Eat. var. 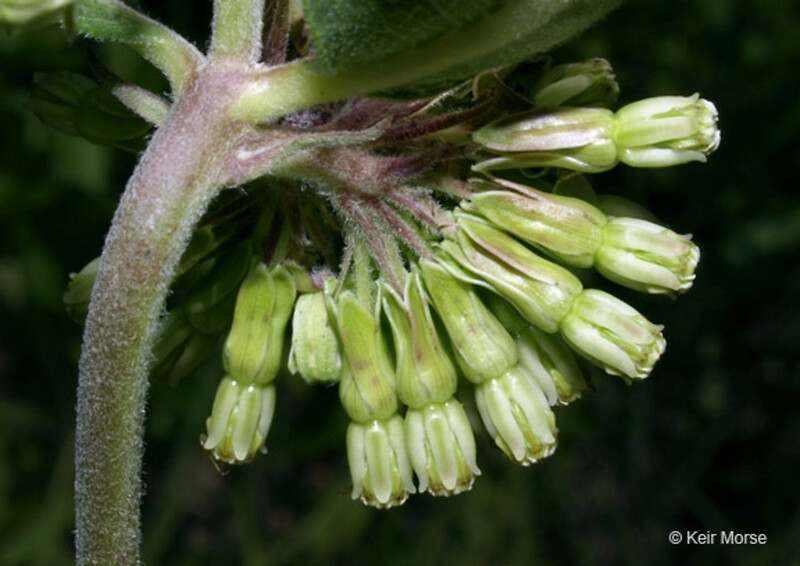 linearis Gray; Asclepias viridiflora Raf. var. 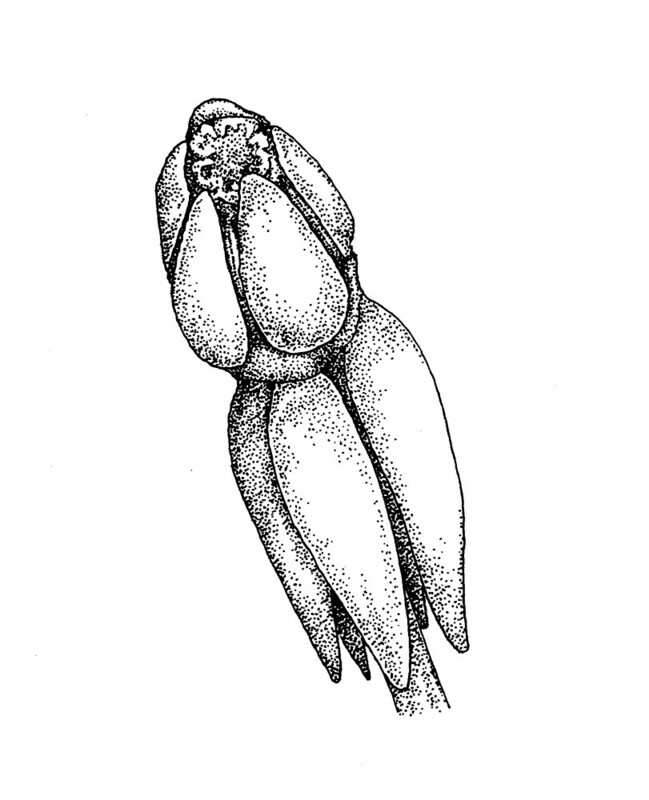 lanceolata Torr. 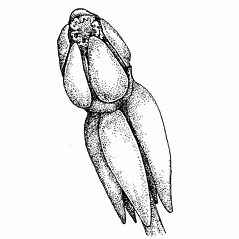 ; A. viridiflora Raf. var. 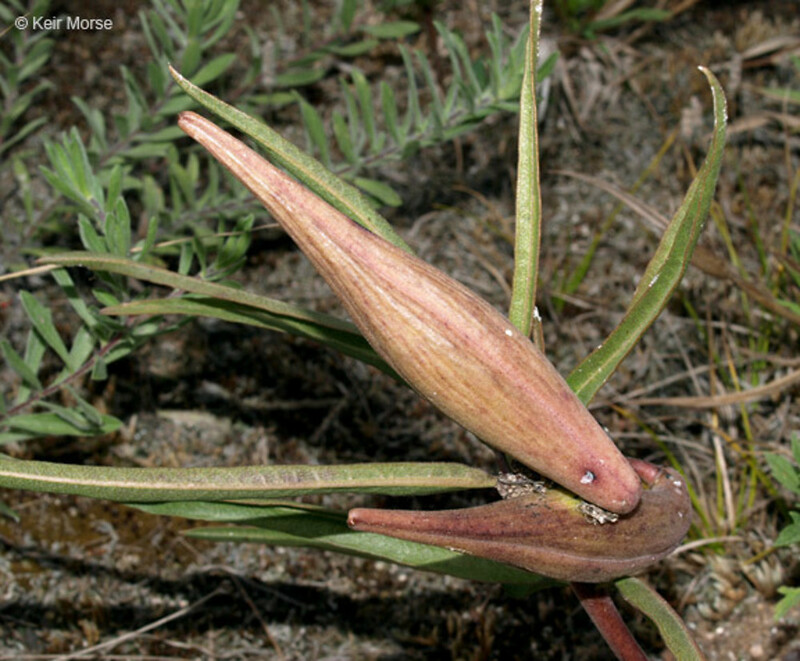 linearis (Gray) Fern. • CT. Sandy fields.